The Church Hall is conveniently situated a short distance from the church and adjacent to the village car park. There is easy access up a short slope to the main door. 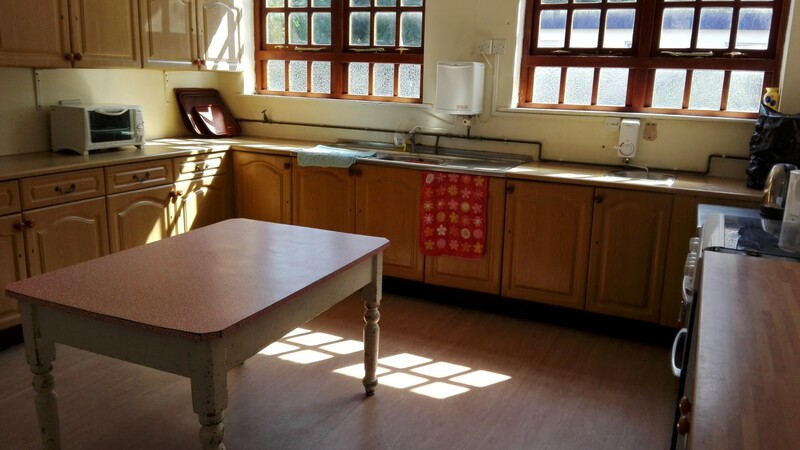 Inside there are 2 main halls, with kitchen and toilets on the ground floor and also toilets upstairs. 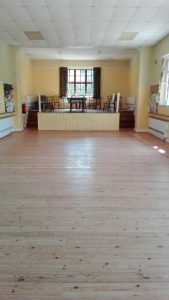 The ground floor hall is carpeted, with chairs and tables available, both small square tables to sit 4 and larger rectangular tables which sit 6 to 8. 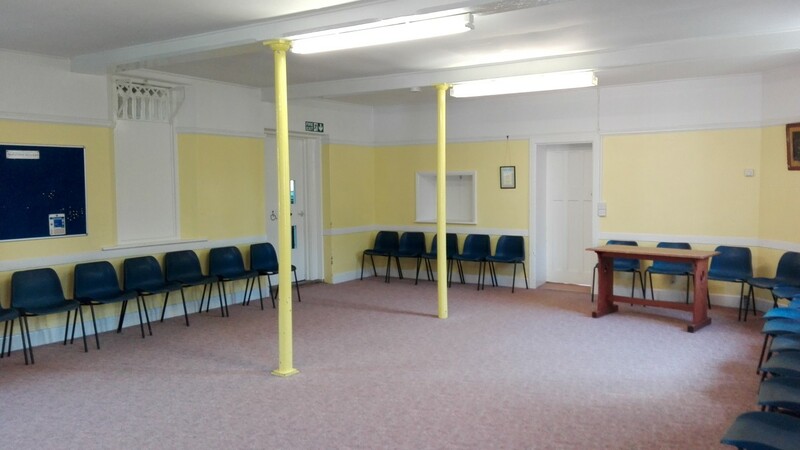 There are 3 pillars in this room, but this still gives plenty of room available for meetings, parties or sales. The kitchen with cooker, fridge, warming oven and plenty of counter space, opens off the main hall, with a second kitchen door leading to the lobby from which stairs give access to the upstairs hall. This lobby has toilets at one end and a door directly into the main hall. Up a stairway near the front door is a larger hall with a higher ceiling. 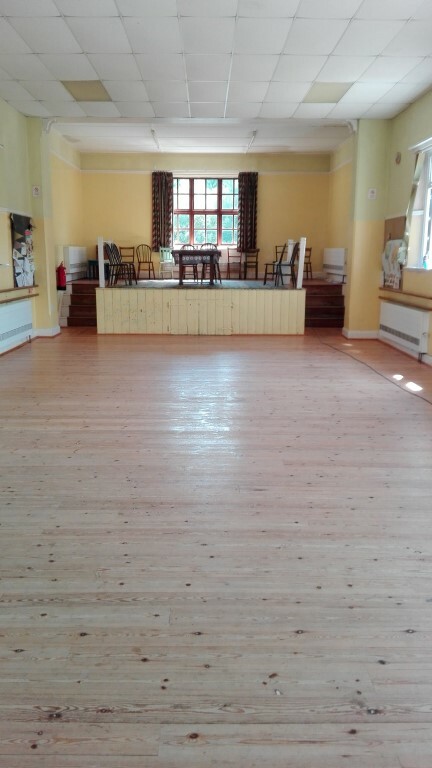 It has a wooden floor with one end given over to a raised stage area. 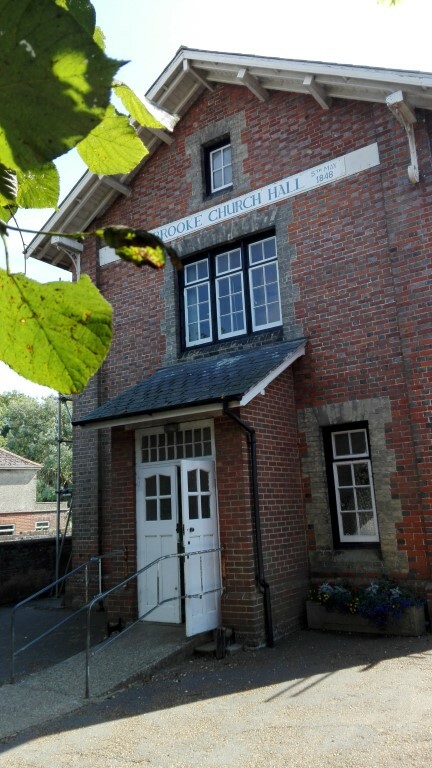 There are toilets off this hall.